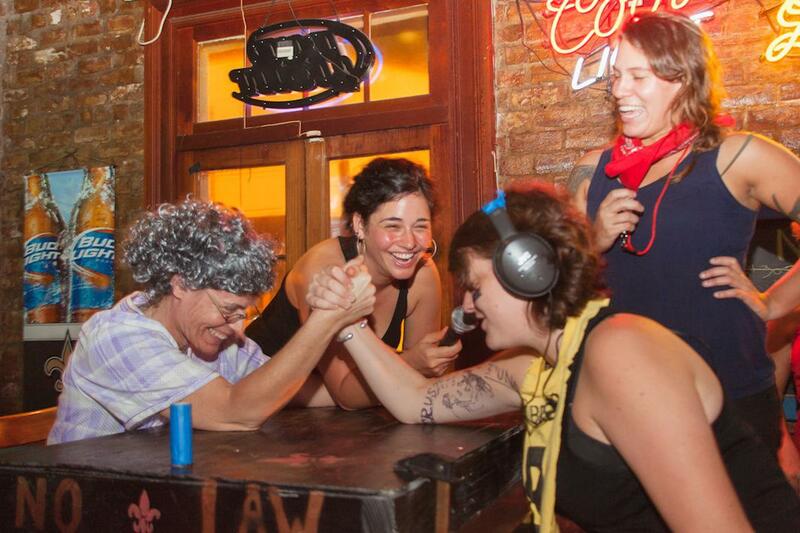 Katrina Arnold photographs New Orleans Ladies Arm Wrestling tournaments. Foxy Fro Brown defeats Huevo Monstero. 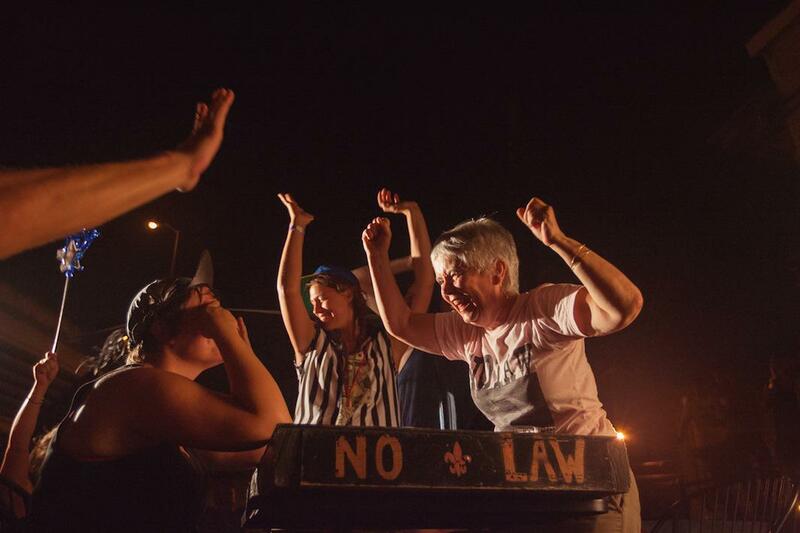 When Katrina Arnold photographed a ladies arm wrestling brawl in New Orleans a few years ago, she was instantly hooked. 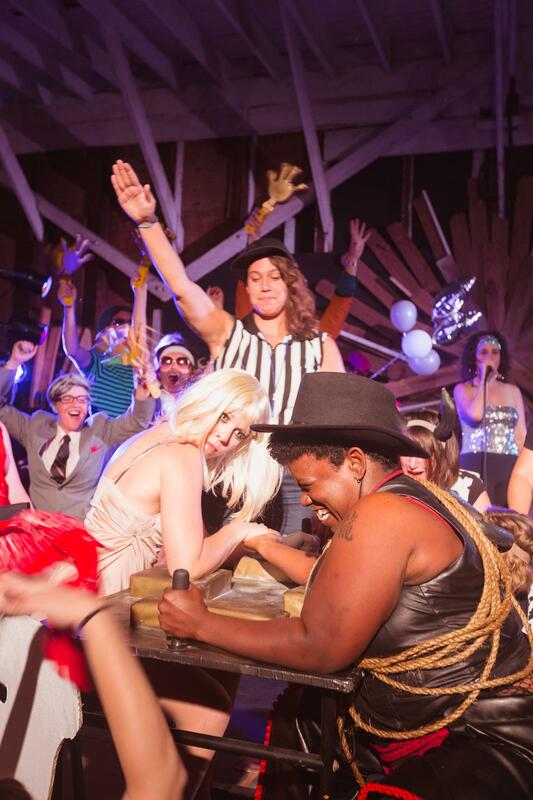 The raucous events, which are hosted by New Orleans Ladies Arm Wrestling, combine the performative, athletic elements of a WWE match with the communal, boozy aspects of a trivia night. 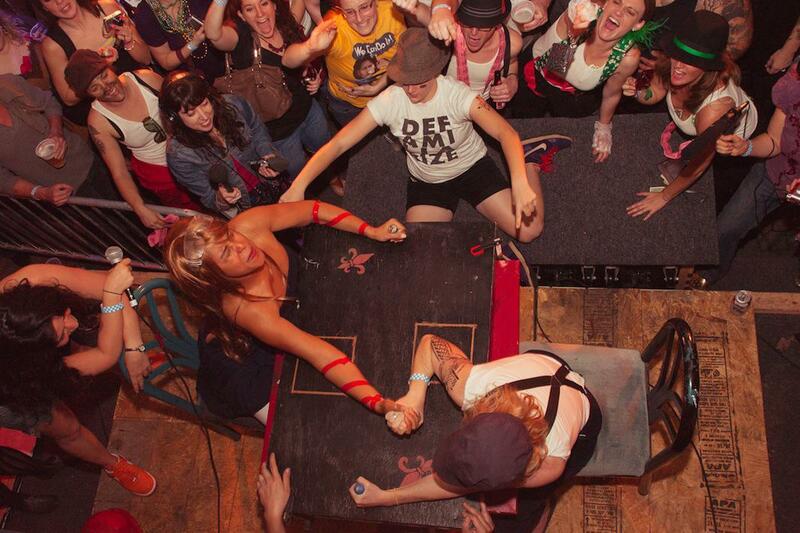 It’s one of more than 25 chapters across the world under the umbrella of the Collective of Lady Arm Wrestlers. 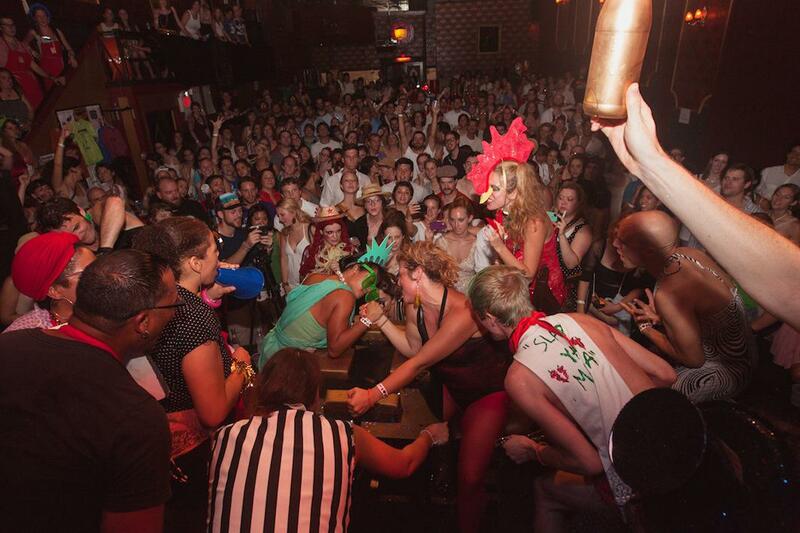 Lady Liberty and Hot Sauce arm wrestle surrounded by their entourage. The Cosmic Crusher and Grandmaw Foots face off in the final match. The agony and adulation at the Back Alley Birthday Bash Brawl. The band plays on as Trombone Short Arm and Make You Moan Lalone wrestle. 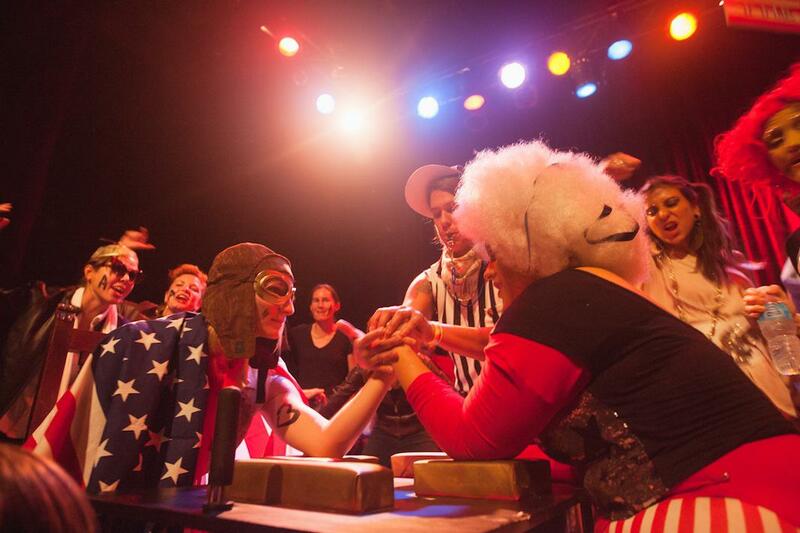 Amelia Armhart and Funkenstein battle during the Inaugural Brawl. Margot TenenBOMB defeats the Wrangler during the Second NOLAW SuperBrawl. 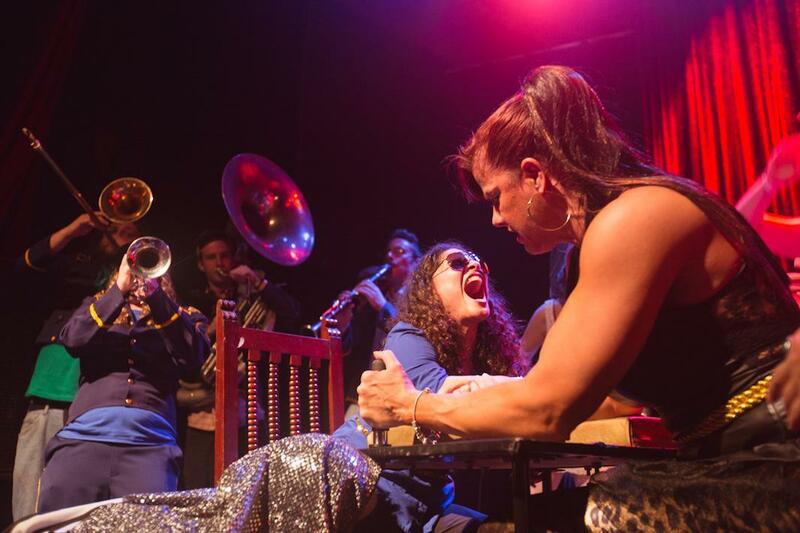 Photographing arm wrestling, Arnold said, is like photographing a concert: It involves shooting fast-moving subjects in low light, as well as avoiding getting in the way of audience members. 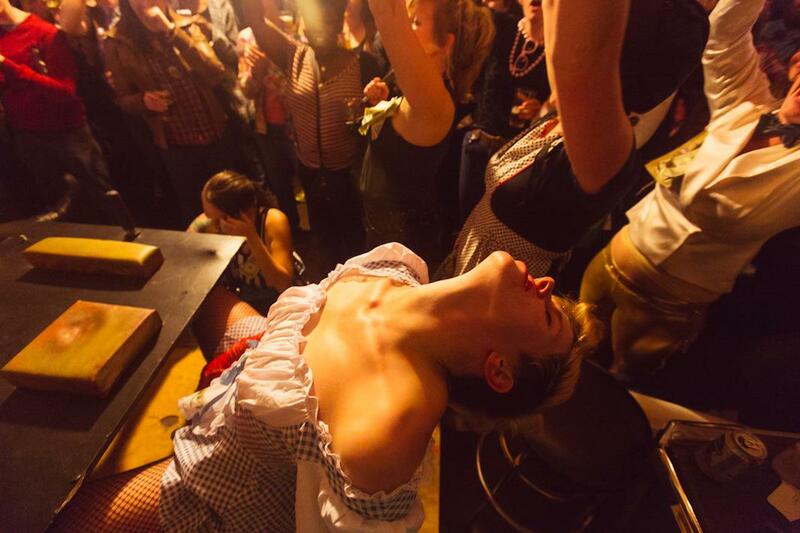 Still, she said, NOLAW’s events are “a photographer’s dream.” Hilarious wrestler alter egos—Babe Lincoln, Amelia Armheart, Ruth Hater Ginsburg—come with equally outrageous costumes and stunts as they prepare to compete. Half-time acts include drag queens and burlesque dancers. Crowds are loud and enthusiastic. 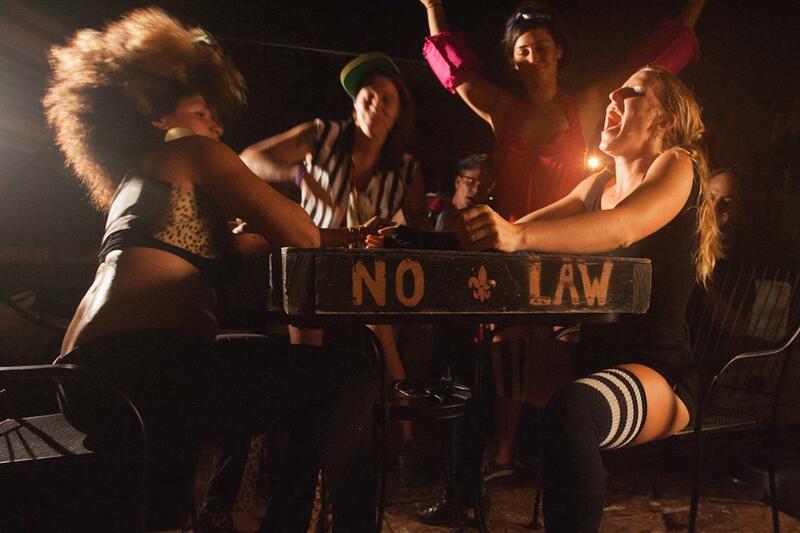 The next NOLAW brawl is set for Dec. 12 at One Eyed Jacks. Arnold’s photographs will be on display in the exhibition, “Katrina Arnold: Wrists Up” at New Orleans’ Gradoux Gallery as part of PhotoNOLA from Dec. 4 through Dec. 7. Fema the Perpetrator and Slamrock O’Hagan arm wrestle. Granny Grinder and Baby Brees get ready to wrestle. A wrestler pulled from the audience celebrates after defeating NOLAW’s Angharad.